Watering Hole is a popular friendly pub in the heart of Shinjuku. 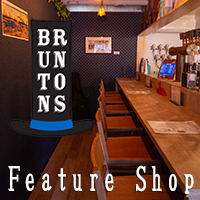 They do their best to provide a fun atmosphere with a variety of craft beers to pair with their burgers and vegetable dishes. This entry was posted in Shibuya-ku and tagged Shibuya-ku, Shinjuku, Shinjuku Sanchome, Tokyo-to, Yoyogi. Bookmark the permalink.